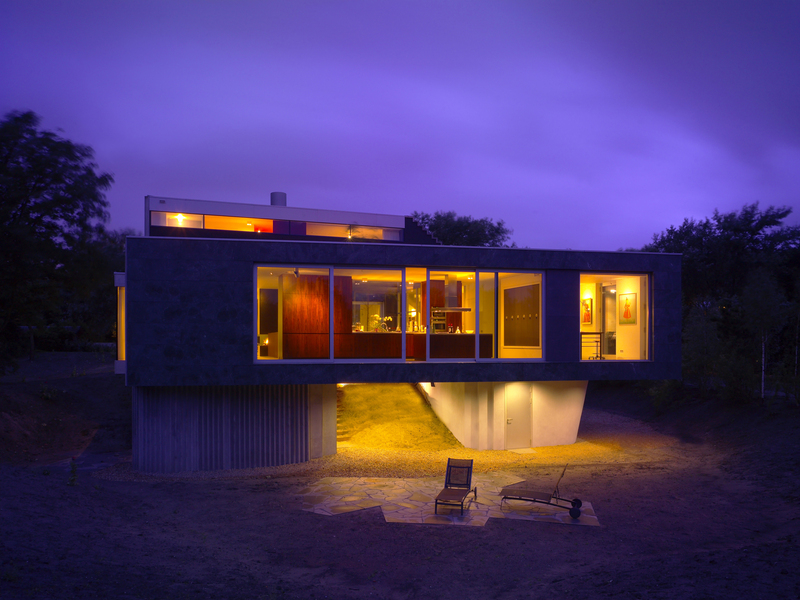 Villa in the Dunes (2008) has been designed for an art collecting couple. The client played a crucial role in the development of the design. 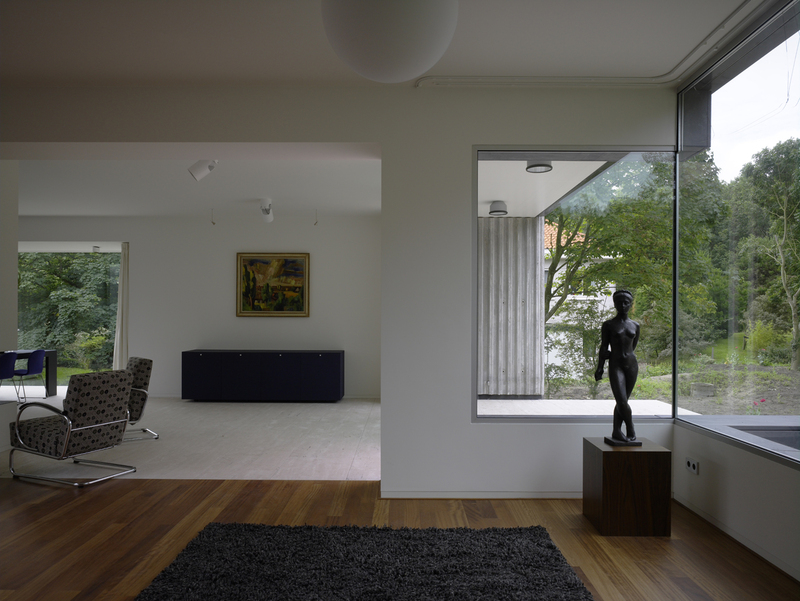 There should be continuity between the interior and exterior and the Bauhaus legacy was a clear inspiration for the client. Around the house many World War II bunkers have been found, part of the Atlantikwall defence from that era. Rough concrete and the heaviness of the design is a reference to this beladed past. 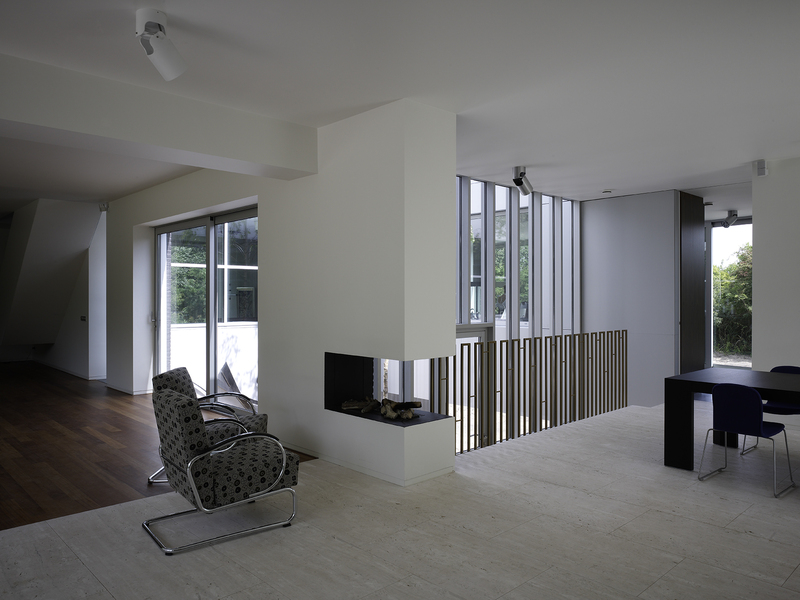 The living room is a large open space hoovering above the landscape of abele trees and buckthorn. 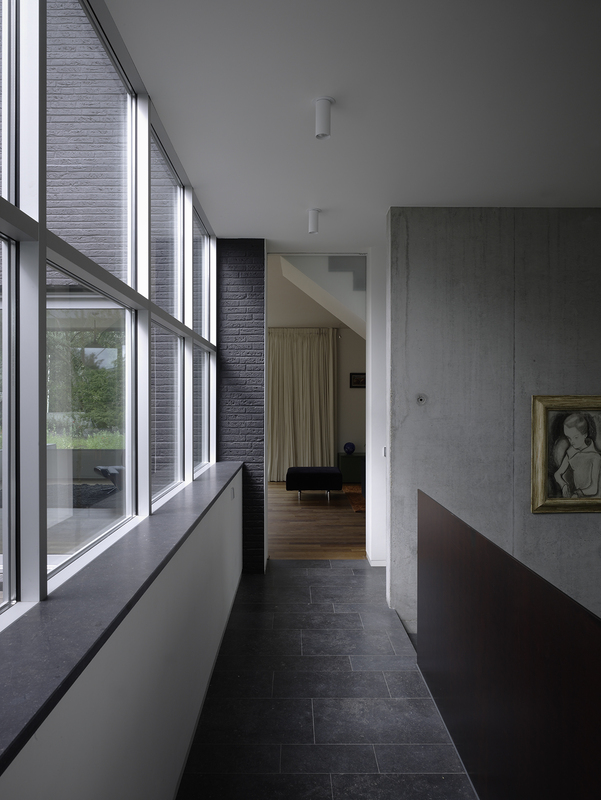 Large sliding doors and big windows create a direct link to the surroundings. The movement of the sun can be experienced all day long. In 2014 the client asked Klein and Van den Berg to make a book. This book is an attempt to capture the way the art collection, the architecture and the landscape have come together and culminated in this specific place. It also is the narrative of a client’s personal imagination. An important factor in the way this villa has come about. The book has been published by the Chabot Museum in Rotterdam and is exclusively for sale at their museumshop. It also is the narrative of a client’s personal imagination. 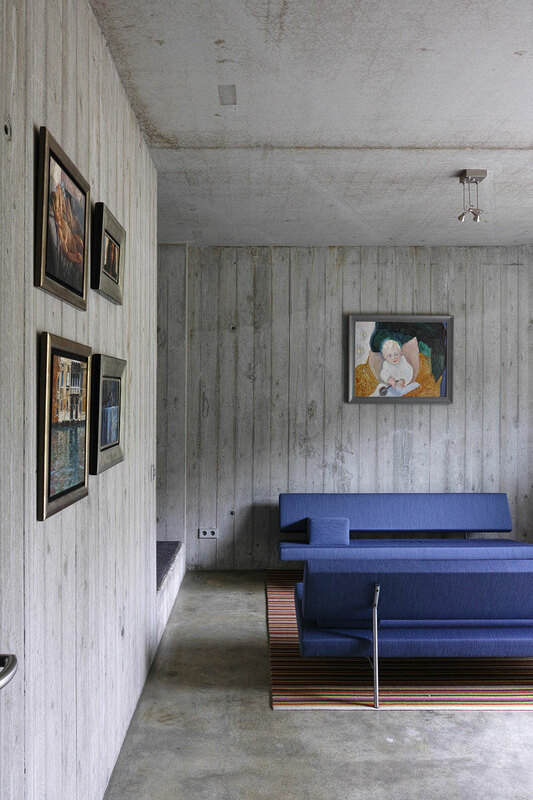 The villa, the first executed architectural design of Van den Berg designed together with his former office partner Daan Zandbelt tests many sorts of materials in the exterior and interior; cast concrete, steel, natural stone and mirroring glass among others. This triggers the eye and the experience while moving through and around. At the same time each specific room exhales a calm atmosphere with the garden always present. 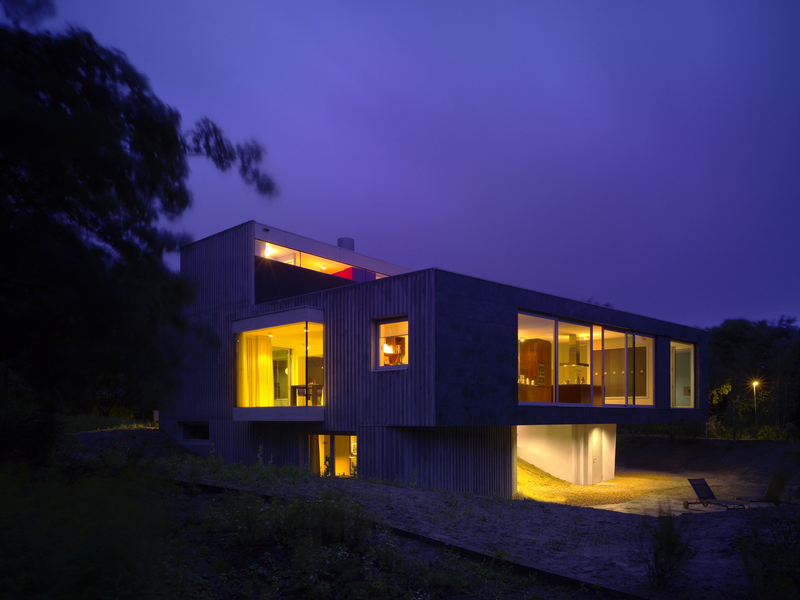 The clients still feel challenged and elevated by the design that they inhabit. That is what architecture can achieve. 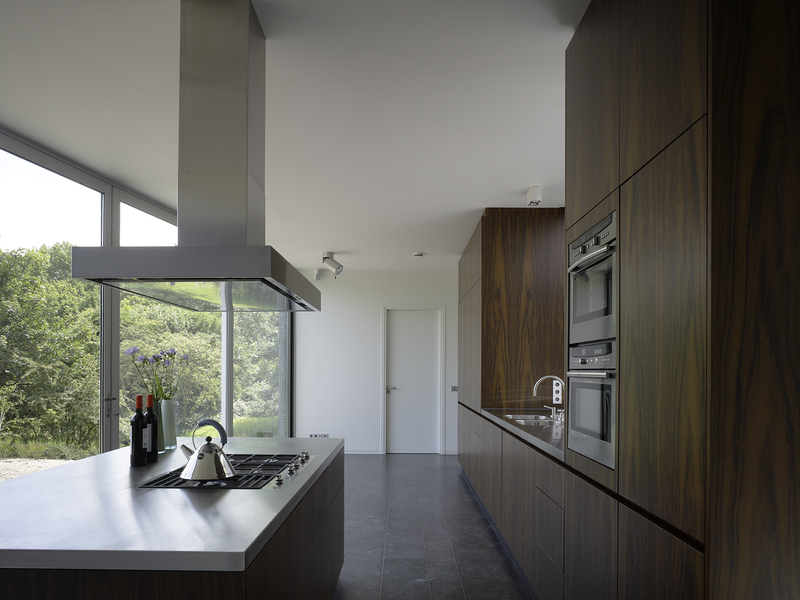 The clients still feel challenged and elevated by the design that they inhabit. That is what architecture can achieve. Growing the garden as it is now has not been an easy achievement. 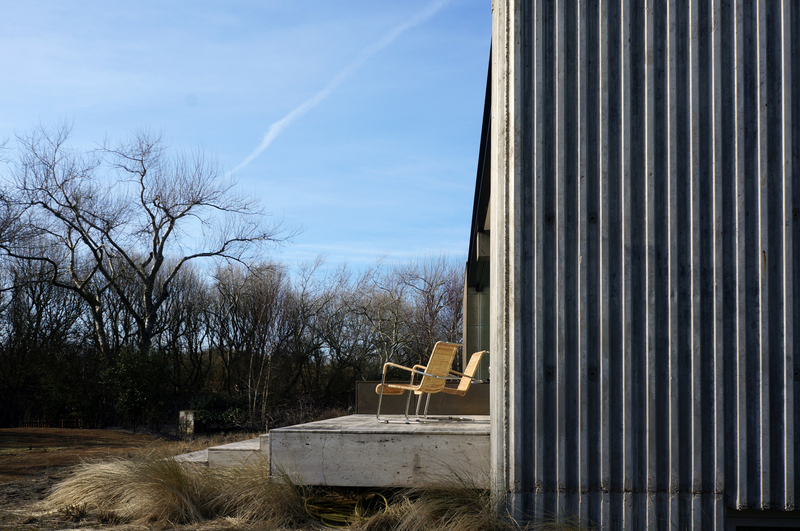 The rough undulating lanscape of the dunes should continue and wrap itself naturally around the house. The idea was to use indigenous plants, trees and mosses. Because of the replacement of sand at the construction stage it took quite a while for this idea to take shape. But perseverence of the client resulted in a real dune landscape with the ground covered with a strong carpet of green dune mosses. The screen of abele trees in the west form a sensational background when the sun sets. In 2010 Klein and Van den Berg designed, at that time already collaborating, a garden chair with accompanying footstool. The chair is constructed from a three-dimensionally bended steel tube. The seat and back have been braided from reed by the last reed braider in Noordwolde in the northern part of the Netherlands, a place with a rich reed braider history and even a reed braider museum. The villa has never meant to be a museum, but now, with the sale of the book in the museum which is also a ticket to a guided tour through the villa, the bel etage serves as a public exhibition space once in a while. Furthermore the souterrain hides a guesthouse with a separate entrance. Family and friends of the owner can visit and stay over, enjoying bike rides and long strolls along the North Sea beach. 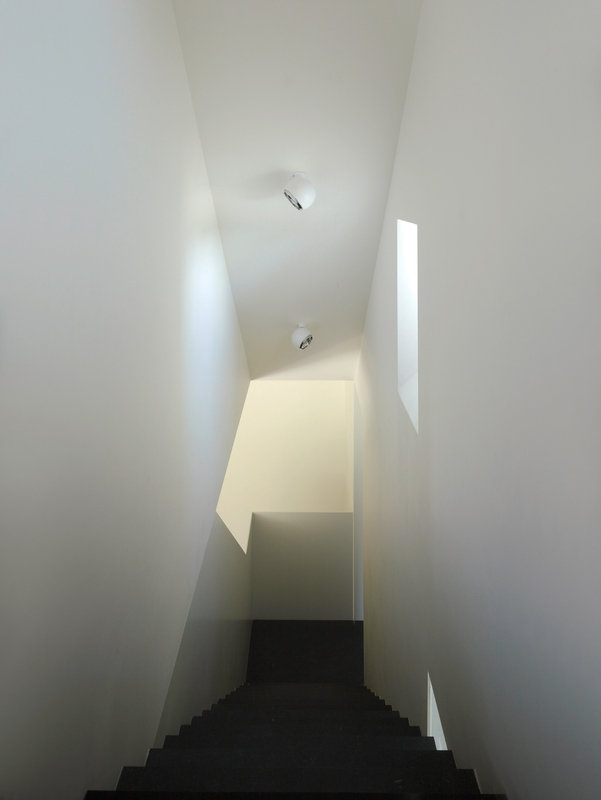 The approach and entrance of the villa is designed as a ‘route architecturale’. 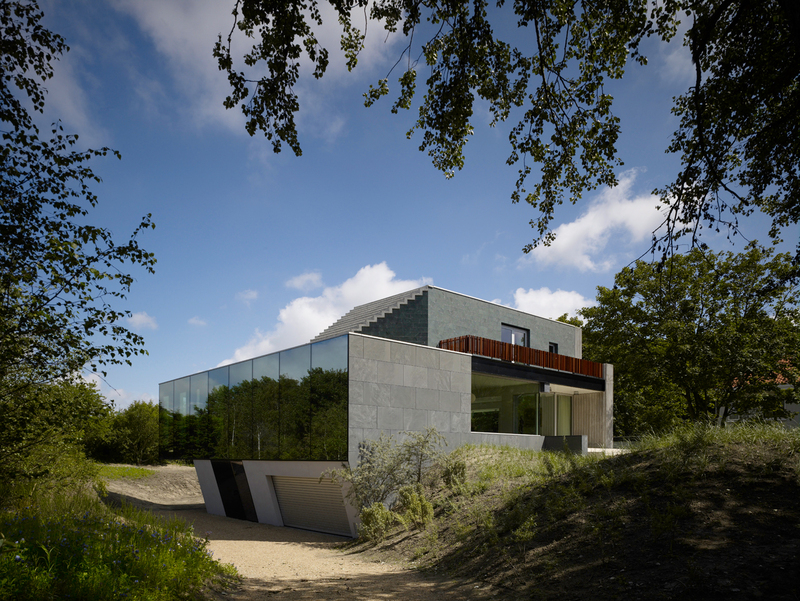 While approaching the villa on the north side you find the surrounding landscape mirrored in the northe facade. The entrance door is a big steel plate, slanting and hinching on two heavy steel arms. 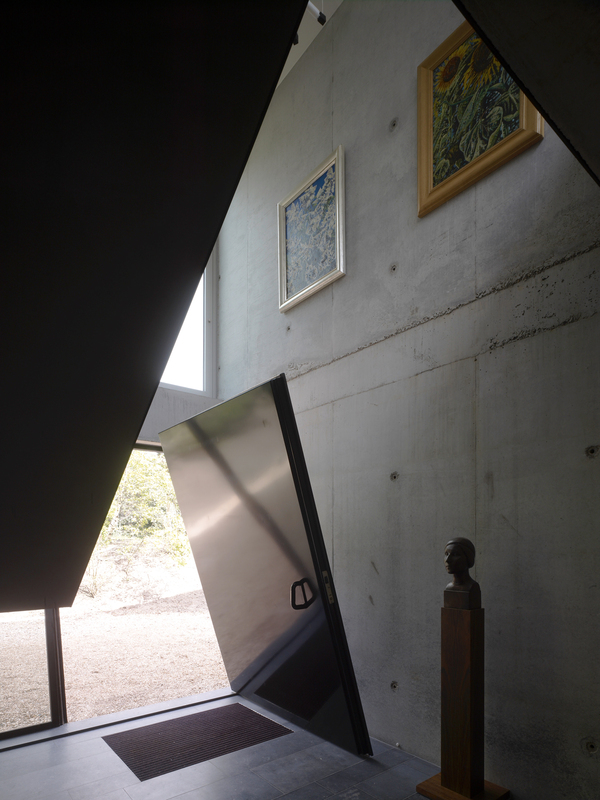 While being heavy, the door opens smoothly and gives access to the house. 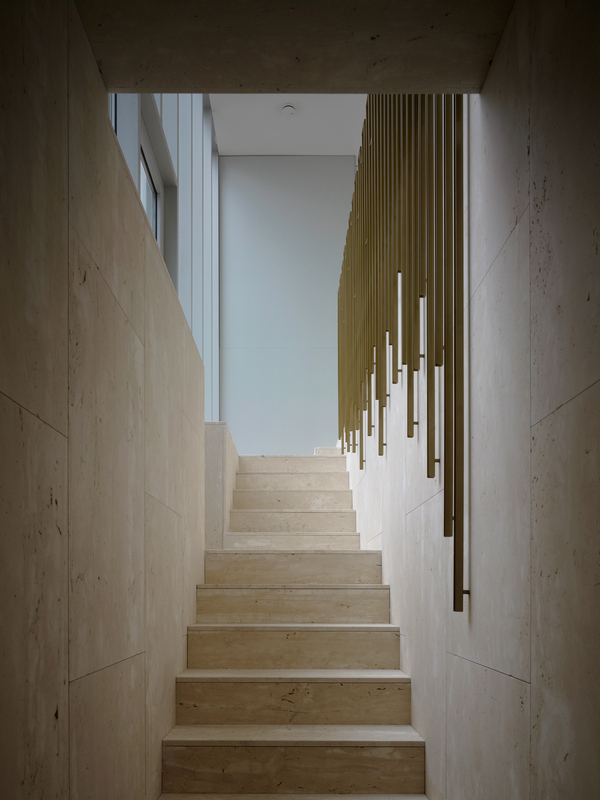 Entering the house the steel balustrade of the stairs hangs like a sculpture in the double height hallway lighted from windows of the bel etage one floor up.